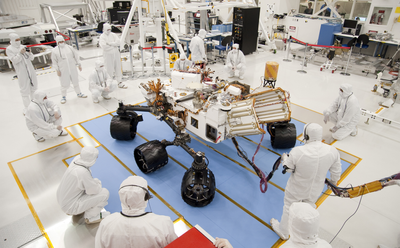 ABOVE: Technicians and engineers wear clean-room clothing to inspect the Curiosity Mars rover during a drive test. Concerns about potentially contaminating the red planet with microbes from Earth led to several delays in the rover’s journey on Mars between 2012 and 2016. In the 1971 sci-fi thriller The Andromeda Strain, a satellite carrying an alien microbe crashes into Earth. The microbe kills almost everyone in the fictional rural town of Piedmont, New Mexico, leaving scientists frantic to contain the invader, characterize it, and prevent its destruction of the human race. While that plot is somewhat far-fetched, researchers at NASA, other nations’ space agencies, and academic institutions worldwide are working to ensure that missions designed to return asteroid or comet samples to Earth don’t also bring back unwanted alien life. 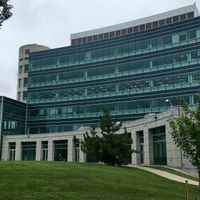 At the same time, they’re working to prevent extremely resilient bacteria from hitching a ride on spacecraft to Mars, the moons of Saturn and Jupiter, and other orbs in the solar system. Researchers first began raising concerns about contaminating other planets in 1956, just a year before the Soviet Union launched Sputnik into low Earth orbit. In response to those concerns, in 1958, a subcommittee of the International Council of Scientific Unions designed the first framework for planetary protection and established COSPAR, the Committee on Space Research, to manage the task. The earliest cleaning techniques included baking spacecraft parts at extremely high temperatures, a method used in the 1970s before the Viking space probes made their way to Mars to take pictures of the planet’s surface and search for life. But as spacecraft have become more intricate in their parts, researchers have found it challenging to develop probes that can withstand stringent microbial eradication and perform elaborate tasks to explore space, all while staying within budget. As a result, Rummel says, decontamination methods have been tweaked over the years, and COSPAR now requires that spacecraft carry no more than 300,000 bacterial spores—in some cases, no more than 30, depending on the mission. As a spacecraft is being built, it goes through tests—usually swabs to collect bacteria—at various construction stages to ensure that there aren’t too many spores clinging to its inner and outer edges. 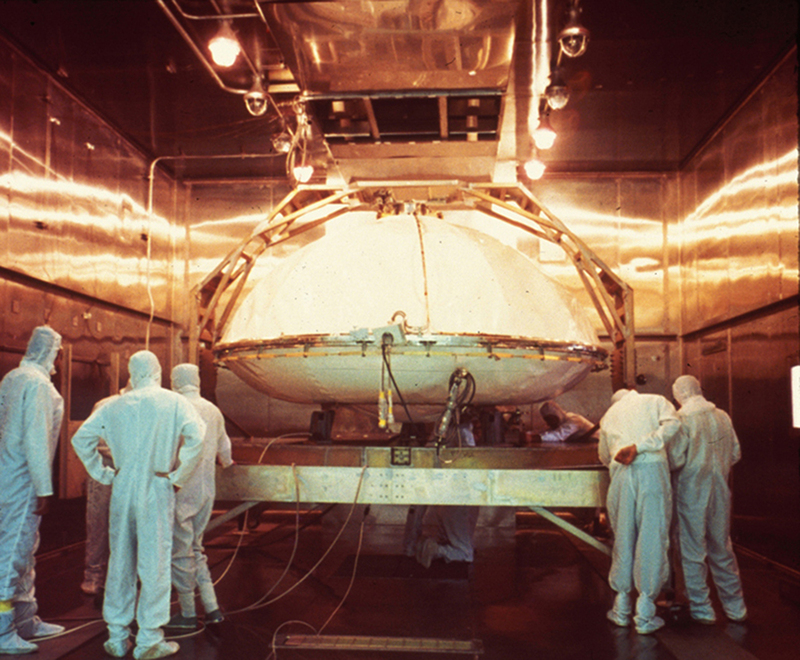 A team prepares one of the Viking Mars landers for dry heat sterilization shortly before the spacecraft's launch in 1975. 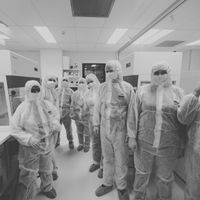 Tirumalai and his colleagues have been studying the genomes of two bacterial strains that produce spores with a knack for surviving in the extreme conditions of spacecraft clean rooms and on the International Space Station. Those strains, Bacillus safensis FO-36bT and B. pumilus SAFR-032, produce spores that are resistant to cleaning with peroxide and UV radiation. The team recently compared the genomes of these two strains to the genomes of multiple Bacillus strains that are not resistant to peroxide or UV radiation and to a strain called B. safensis MERTA-8-2, found on two spacecraft before they blasted off to Mars. 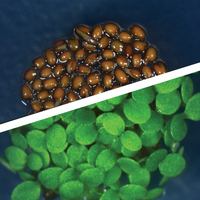 In doing so, the researchers determined the complete genome of B. safensis FO-36bT and began to identify its unique features, some of which may play a role in the resistant properties of the bacterium’s spores. In a paper published in June, Tirumalai and his colleagues identified nine B. safensis FO-36bT genes that are not found in any other B. safensis and B. pumilus genomes, nor do they appear to have homologs in the National Center for Biotechnology Information nucleotide databases (BMC Microbiol, 18:57, 2018). Four of those genes are related to phages—viruses that might have infected the bacterium and inserted or rearranged genetic material in its genome in a way that confers resistance. The next step, Tirumalai says, is to study the proteins expressed by these unique genes to determine whether they might have a role in the spores’ resistance to radiation or peroxide washing. Robert McLean, a microbiologist at Texas State University who was not involved in the study, calls the work “excellent,” adding that it could improve the success of future long-term space flights, ensuring that bacteria that hitch a ride on spacecraft don’t cause harm to astronauts or contaminate other celestial bodies. 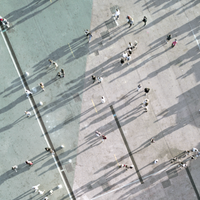 Although Tirumalai and his colleagues haven’t yet pinpointed the genetic mechanism that confers resistance, they’ve narrowed the options to just a few, McLean tells The Scientist. Now, the team can develop experiments in which they knock out those genes and observe if resistance persists or disappears, and then reinsert the genes to see if resistance is restored. If those experiments are successful and the genes or genetic pathways for resistance to heavy-duty cleaning methods can be identified, he explains, then the researchers could potentially design a small molecule to block those pathways, kill the spores, and prevent their extraterrestrial spread. Still, Tirumalai says, “there will always be something that will evade decontamination procedures.” If scientists can identify genes or gene-expression patterns that confer resistance, then they can at least develop biomarkers to identify those resistant bacteria in “alien” settings. That would help scientists do more than just help keep space clean. It would help them confirm, in the event that future space missions discover microbial life on a foreign world, that that life is truly extraterrestrial. “We need to know what the background is,” Tirumalai says. Only then, he notes, could researchers distinguish potential alien life from something brought from home.